During 2012 to 2016, the National Fire Protection Association statistics indicated that an average of 8,240 structure fires occurs in eating and drinking establishments were reported to the fire departments throughout America. Although it might not a common occurrence in Asia yet there are saying “better safe than sorry”, and as a business owner lost a lot of money due to your own negligence is unacceptable. The most common source of fires is the grease on hood kitchen which accumulated over a period whether it is in restaurants, hotels, homes or even laboratory experiment rooms. Fire explosions might occur during midnight when people and employees are not aware of especially in restaurants and hotel kitchens that could have fully used the kitchen equipment up to 24 hours in a day. You might be painstakingly liable for fire hazards to individual lives like the chefs, employees, customers and passer-by. The truth on flame ignitions that occur in kitchens that usually burn down the cooking premises is simply the humble greasy cooking oil. Grease came from cooking oils or chemical substances which got stuck inside the ventilation system surface walls in kitchens surrounded with deep fryers, ovens, stoves, refrigerators, machinery, cooking appliances and heating equipment. An electric faulty system also contributes to the dangerous spread of open fires in any building. Open fires can destroy or damage properties as well as cause death and injuries to occupants. Poor ventilation system uses up more electrical energy when its dirty and unkempt conditions. In the absence of proper ducts and kitchen hood cleaning services and fire prevention efforts, restaurants and kitchen premises’ owners will potentially lose future profitability and their business reputations will be tarnished in the long term because customers do not feel safe and secured when dining. Since cooking activities evaporate liquid oils, at a certain temperature the cooking oil vapour floats in the air via the exhaust ducts or hood system and this may cause fires to spread quickly throughout the building. 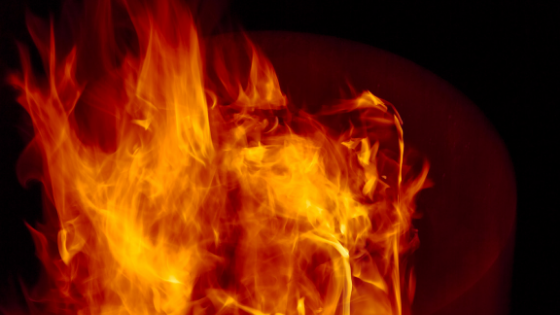 Fire ignites when other particles such as dirt, arson and smoke combine with grease in the ventilation system which can cause the spread of open fires. One of the signs that can be detected is the awful smell of gas which emits from a ventilation system that is filled with accumulated solid grease in the exhaust hoods and filters. The air smoke particles travel and stuck on the air ventilation and when fire igniters such as cigarettes, cigar pipes, matches or lighters are present nearby, they became inflammable and can highly likely create flames in an instant. Some electrical system connectivity might have been worn out or defective over time. Old electrical wiring can be faulty when pests such as rats or other rodents might have bitten the aged protective wire coating layer. On the other hand, overheated wires can also damage the electrical circuits. External environmental factors such as lightning strikes, thunderstorms, bad weathers or floods can burn out all the electrical circuits such as light bulbs, electrical appliances, machinery and operating equipment. These damages can ignite huge fire sparks in the premises. Another issue that can cause open fires when an organization contracted with the cleaning companies or fire department staffs are unreliability to do proper inspection or dishonesty to carry out the professional services on cleaning the hazardous grease in the ventilation system. Although an organization may have outsourced air duct and hood cleaning services contracts to third parties cleaning and servicing companies, their personnel may still need to monitor on recording schedules and re-checked the sub-contractors’ works whether they are actually carried out or not. Besides that, the lack of human awareness on fire prevention also contributes to deaths and injuries to occupants of premises. Some people are not aware on the causal of fire ignites or simply ignorant on the fire alarm system or not bothered to know how to respond with fire situations or they do not feel the importance of hood cleaning for fire prevention efforts and others are examples of such poor attitudes. Normally, people could not clean the kitchen exhaust system on their own. Cleaning kitchen exhaust system requires professional help with special equipment such as air duct and hood cleaning tools to remove and clean the grease completely. Special foam chemicals released from the hood equipment and the fan spinning clockwise will clean the stubborn grease stuck in the exhaust. The duct and hood equipment also absorb those dust and grease oils. Regular hood cleaning and fire inspection can prevent destructive fires. Usually frequent usage exhaust system originated from restaurants or hotel kitchens with high usage of burning charcoal or wood. The recommended frequency for hood cleaning services is every fortnightly, monthly or quarterly. Gas, ovens and kitchen equipment should also be maintained on a regular basis. This technology can detect the presence of smokes or heat especially in the kitchen areas and alert for the relevant authorities on an immediate basis. This equipment and system can rescue people from fires and allow people time to escape from fire situations. ● Training and educating employees on overcoming fire situation. All employees exposed to fire hazards such as waiters, managers, chefs or hotel receptionists should be aware of the signs of fire and take initiative action to survive from fire cases. At least they should have sufficient knowledge on the kitchen exhaust system, use fire extinguishers and adhere to evacuation plans. Finally, we at the Atalian Global Services are offering the best professional duct and hood cleaning services and we are fully equipped with special equipment to clean the grease in the exhaust system and maintaining it on a scheduled regular basis. Providing preventive measures on fire prevention and training your personnel and employees in adopting proper attitudes to such matter will be our top priority. Do contact us today for alternative solutions on safety, duct and hood cleaning services and preventing fire explosion issues which can adversely affect your business; no more worries and have a clear mind from now onwards! Previous Post Deep clean after flooded premises Next Post Is your premises fully secured?